By 2030 there will be over 20 million cancer survivors in the US and almost 200,000 newly diagnosed every year. Surgery, including amputations, and treatment will leave patients with muscle imbalances and range of motion limitations and out them at risk for heart and lung damage, osteoporosis, and diabetes: all can be prevented and/or managed with exercise. 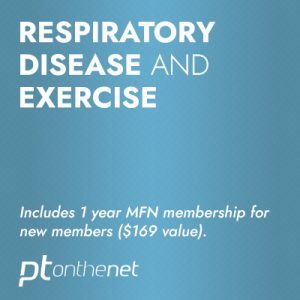 This introductory course for health and fitness professionals will teach professionals how to identify muscle imbalances and correct postural deviations following cancer surgery and treatment, how to identify and correct range of motion limitations following cancer surgery and treatment, how to prevent, identify, and manage lymphedema, and how to prescribe a comprehensive, individualized recovery program that will improve a patients’ quality of life, and minimize the risk of co-morbidities. Master the basics about cancer, including the acute and chronic side-effects. 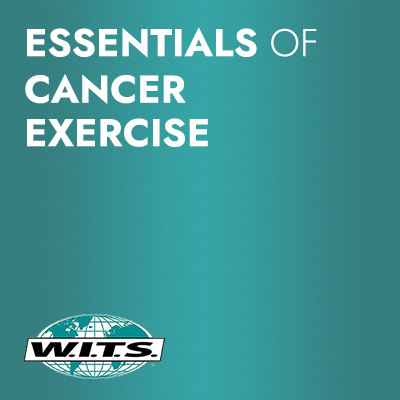 Understand exercise contraindications in people undergoing cancer treatment, and how to modify exercise accordingly. Learn how to prevent and manage lymphedema. Know the limitations associated with exercising with cancer-related health complications. Understand how to correct muscle imbalances and ROM limitations following surgery/treatment.